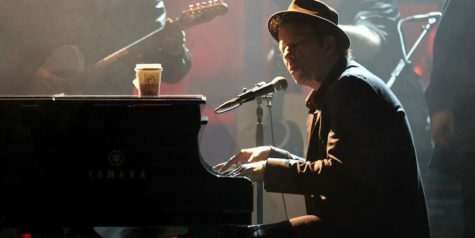 Tom Waits will appear in the Coen Brothers’ new film The Ballad of Buster Scruggs, as Variety reports. Originally reported to be a six-part anthology series, the project has evolved into a 132-minute feature film. It will debut at the Venice Film Festival this summer and will arrive on Netflix and in theaters later this year. Tim Blake Nelson, Zoe Kazan, and Liam Neeson also appear in the film. The Ballad of Buster Scruggs is not Waits’ only film role this year: He will also appear in the true crime film The Old Man and the Gun, along with Robert Redford, Sissy Spacek, Danny Glover, and more. Old Men, Young Women: It’s Hollywood!